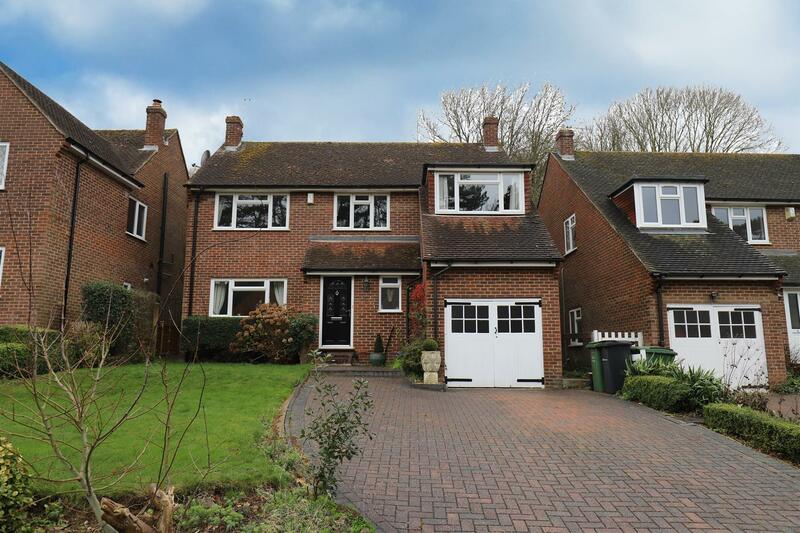 **FIVE-BEDROOM EXECUTIVE DETACHED FAMILY HOME**. 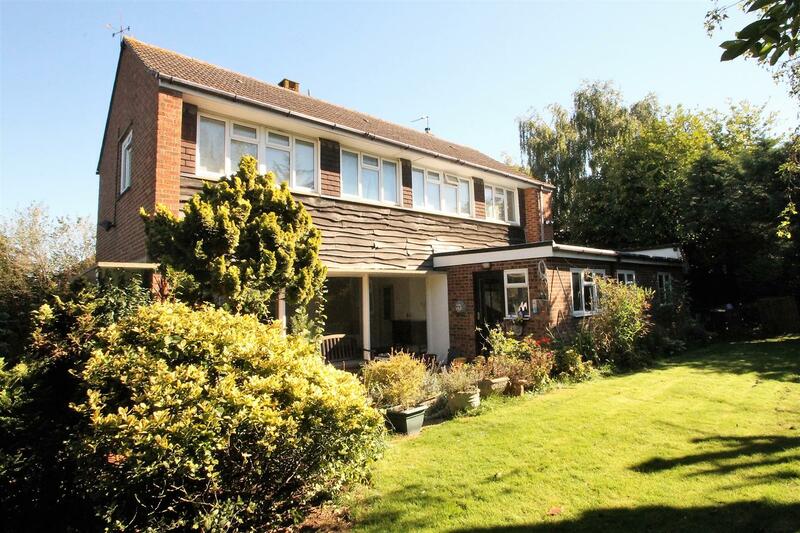 **LARGE REAR GARDEN WITH SOUTHERLY ASPECT**. **LUXURY EN-SUITE FACILITIES TO BOTH MASTER AND GUEST BEDROOMS**. 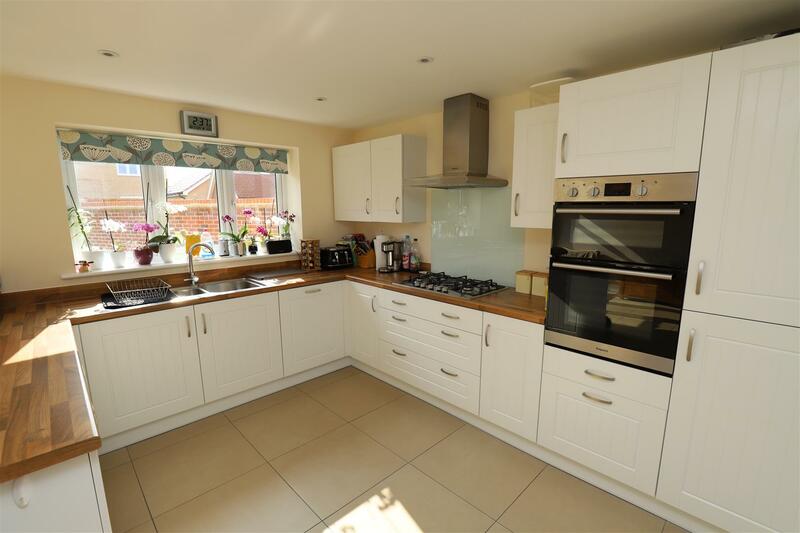 **STUNNING KITCHEN/DINER**. **USEFUL STUDY**. **SOLAR PANELS**. **SOUGHT AFTER LOCATION**. **NO FORWARD CHAIN**. **BALANCE OF NHBC GUARANTEE REMAINING**. 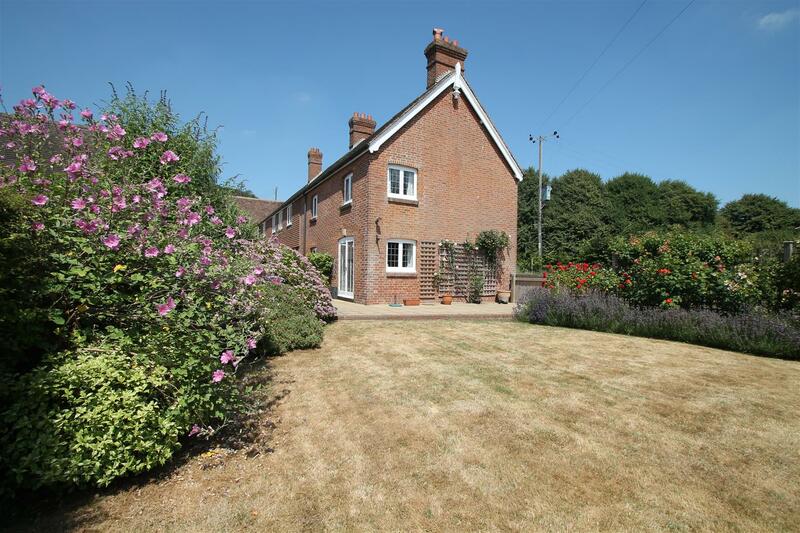 As sole selling agents, Page & Wells are delighted to bring to the market this beautifully presented five-bedroom detached family home located in a most sought after position on this popular residential development in Barming. 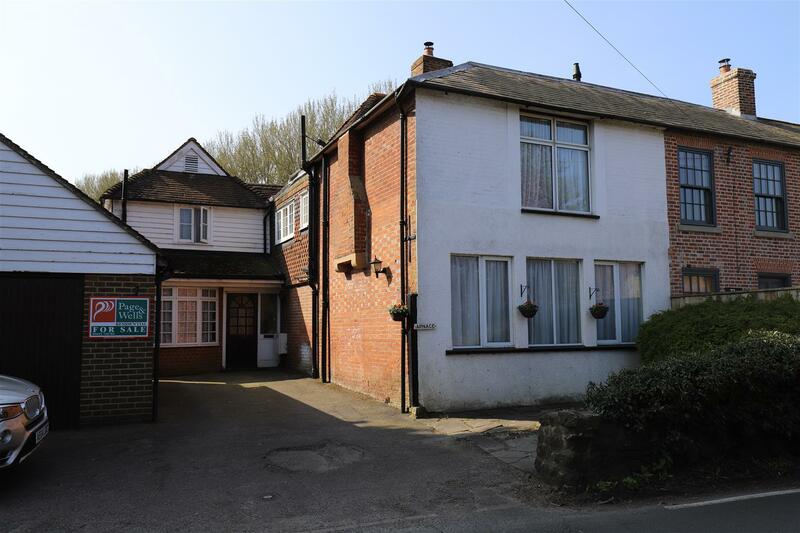 The property is conveniently placed for Maidstone Hospital, Barming railway station as well as several reputable primary and secondary schools. 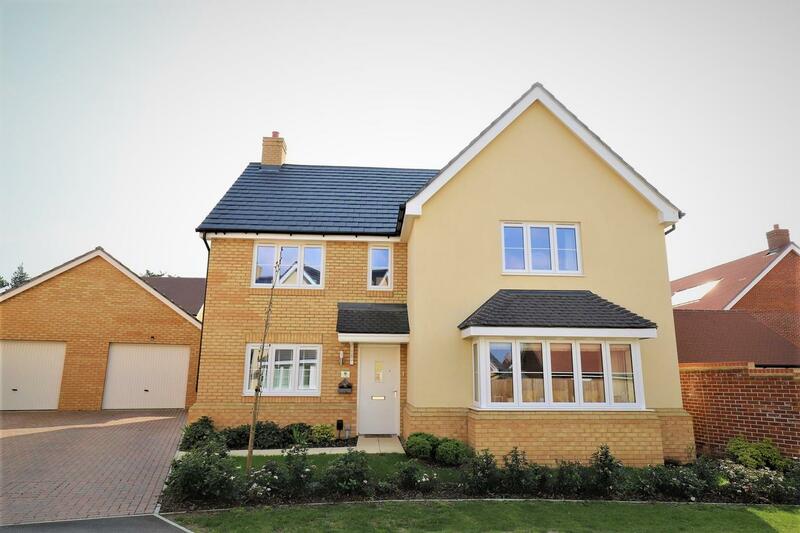 Constructed approximately 2-years ago by Bovis Homes, the property offers a spacious lounge, separate dining room, stunning kitchen/diner, study, cloakroom and utility room on the ground floor. 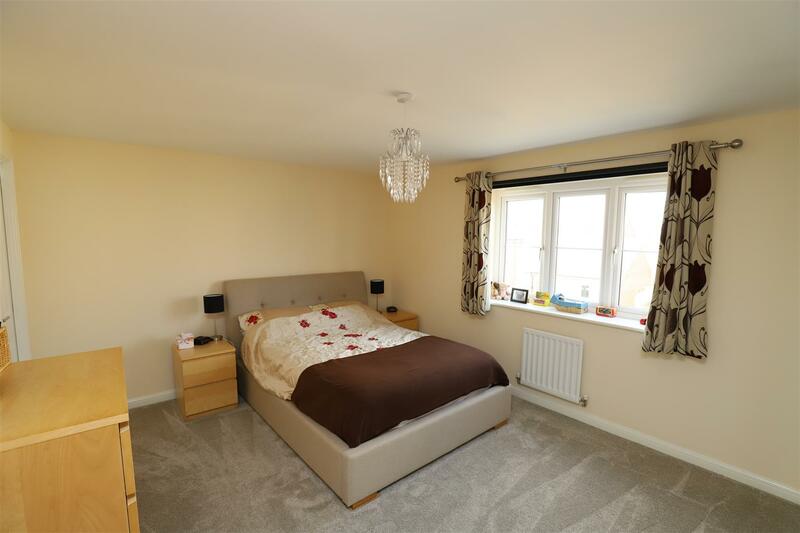 On the first floor, the 20' master bedroom and the guest bedroom both benefit from luxury en-suite facilities with three further sizeable bedrooms. 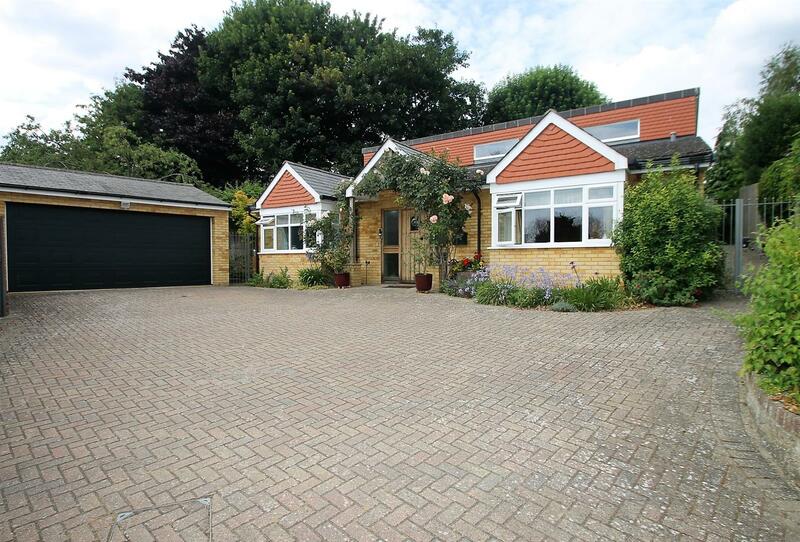 There is a driveway providing ample off-road parking facilities which leads to a single garage. The rear garden is a distinct feature of the property, being a lot larger than one might expect to find in a modern home. 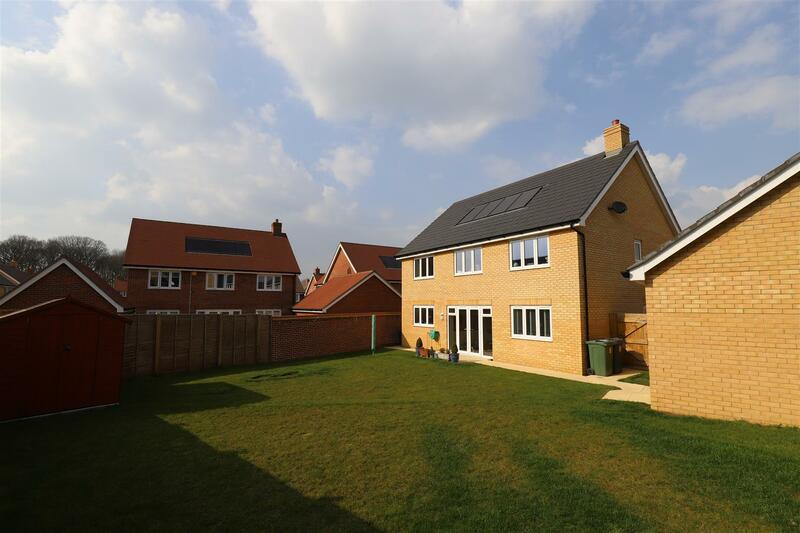 Our clients paid for many upgrades when purchasing the property with further benefits including solar panels, the balance of the NHBC warranty and no onward chain implications. 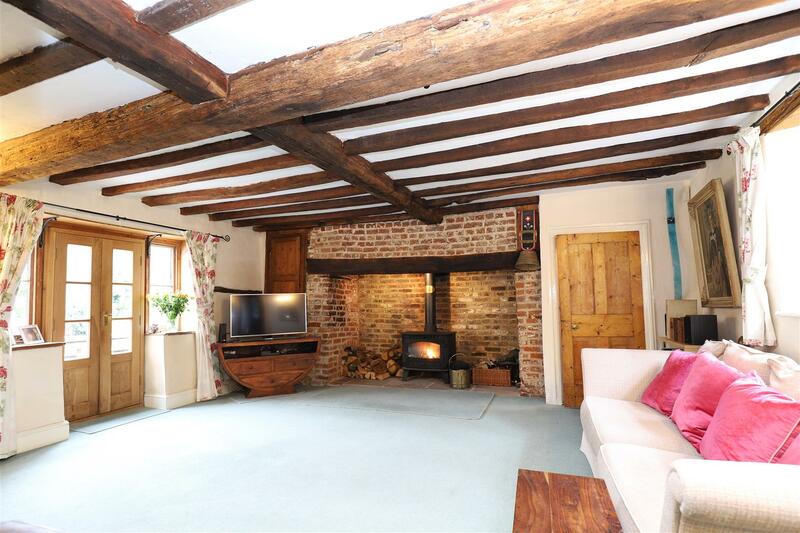 Internal viewing of this fine family home is strongly recommended. EPC rating: B. Contact: PAGE & WELLS King Street office 0162 2756703. 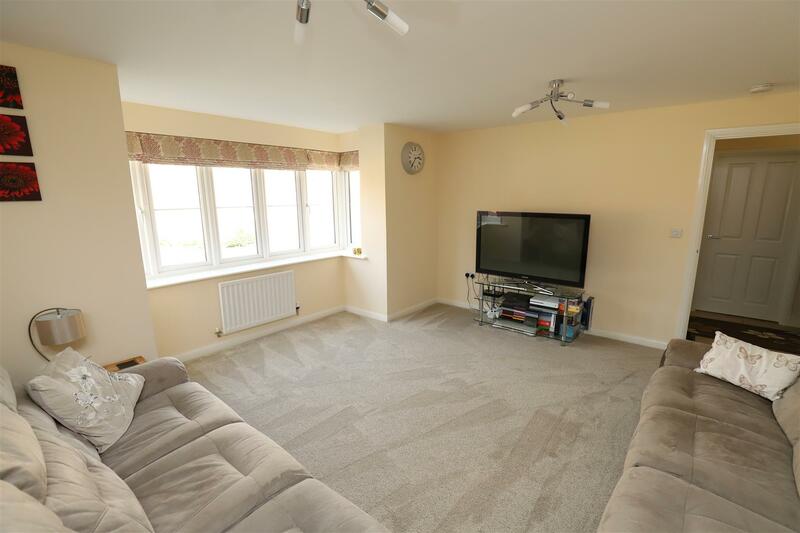 Spacious Entrance Hall - Staircase to first floor with understairs cupboards. Radiator. 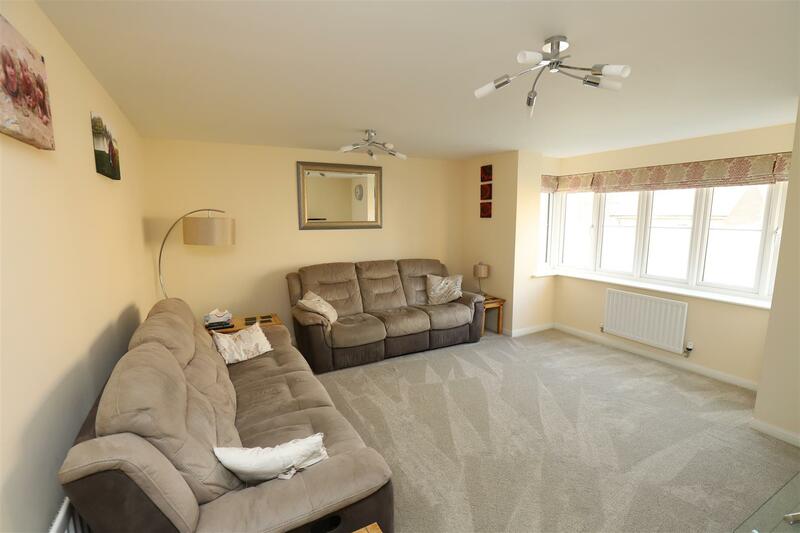 Lounge: - 4.50m x 3.86m (14'9 x 12'8) - Double glazed boxed bay window to front. Two radiators. 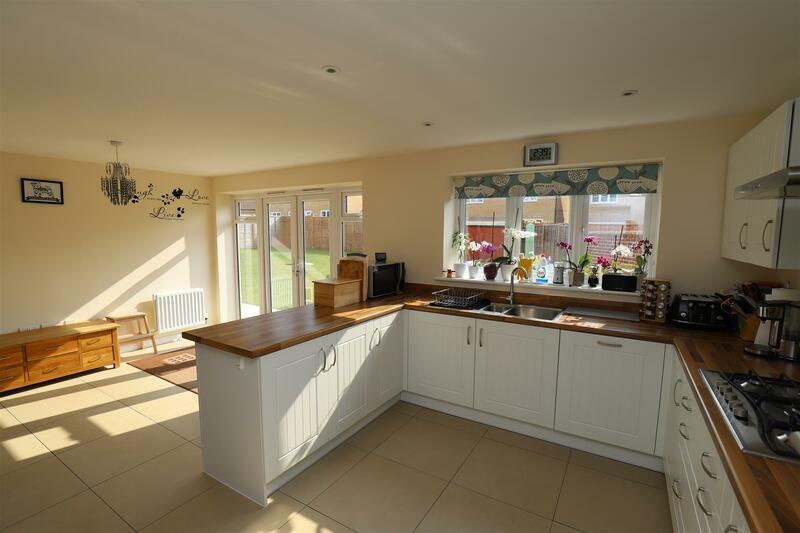 Stunning Kitchen/Diner: - 6.17m x 3.68m (20'3 x 12'1) - Comprising an extensive range of quality fitted wall and base units with work surface over. Inset sink unit. Built-in fridge/freezer and dishwasher. Inset 5-burner hob. Built-in double oven. Double glazed window to rear. Double glazed doors opening to garden. 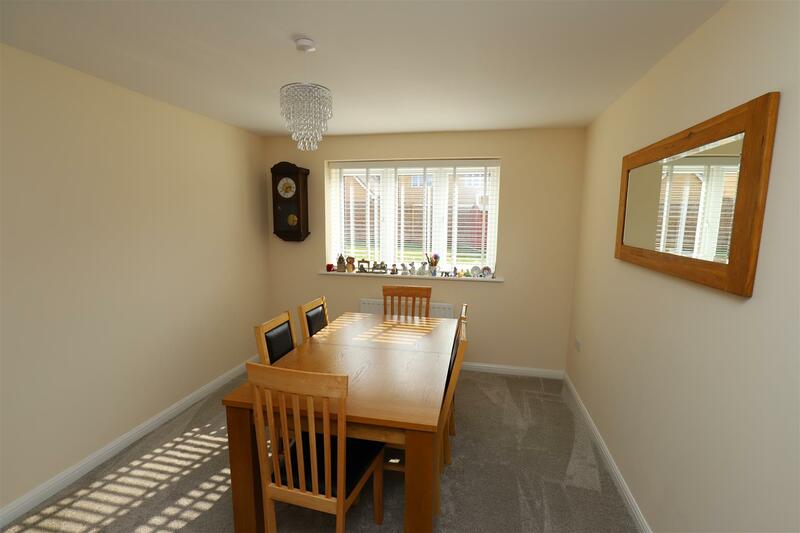 Dining Room: - 3.68m x 3.10m (12'1 x 10'2) - Double glazed window to rear. Radiator. Utility Room: - 2.26m x 1.65m (7'5 x 5'5) - Work surface with appliance recess beneath. Wall mounted units. Door to side. Cupboard housing megaflo eco system. Study: - 2.95m x 2.31m (9'8 x 7'7) - Double glazed window to front. Radiator. Cloakroom - WC. Wash hand basin. Radiator. 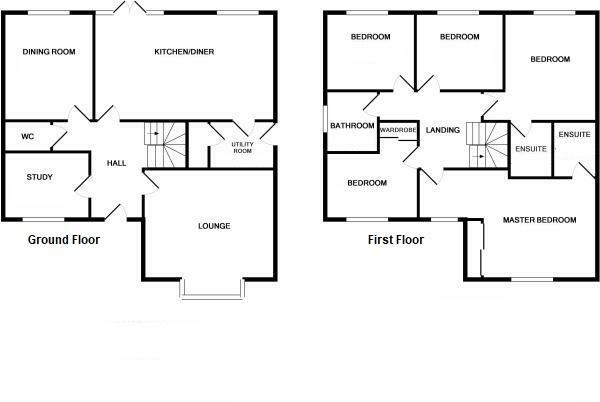 Master Bedroom: - 6.10m x 3.76m (20' x 12'4) - Range of built-in wardrobes. Two radiators. Double glazed window to front. 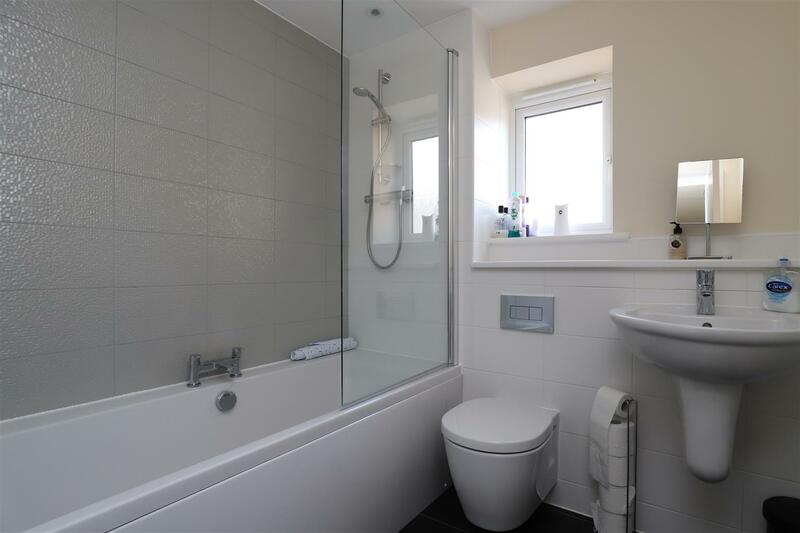 Luxury En-Suite Shower Room - Tiled shower cubicle. WC. Wash hand basin. Heated towel rail. 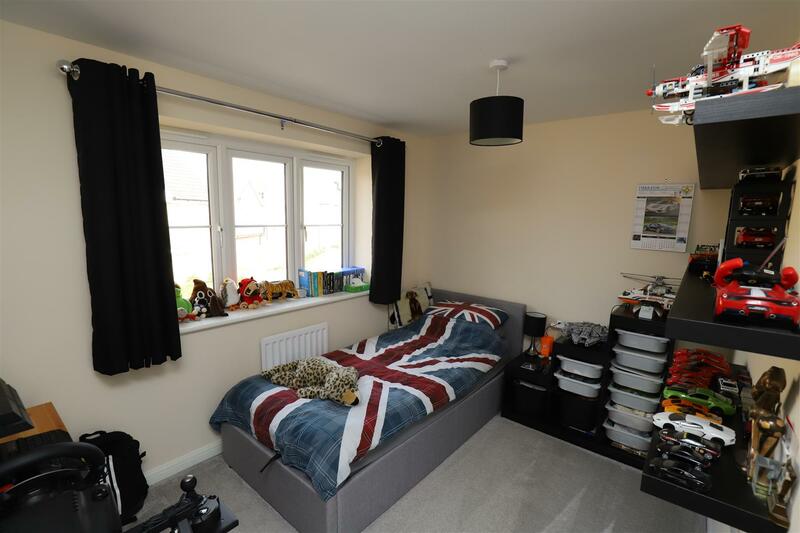 Guest Bedroom: - 3.91m x 3.71m (12'10 x 12'2) - Double glazed window to rear. Radiator. Luxury En-Suite - Tiled shower cubicle. WC. Wash hand basin. Heated towel rail. 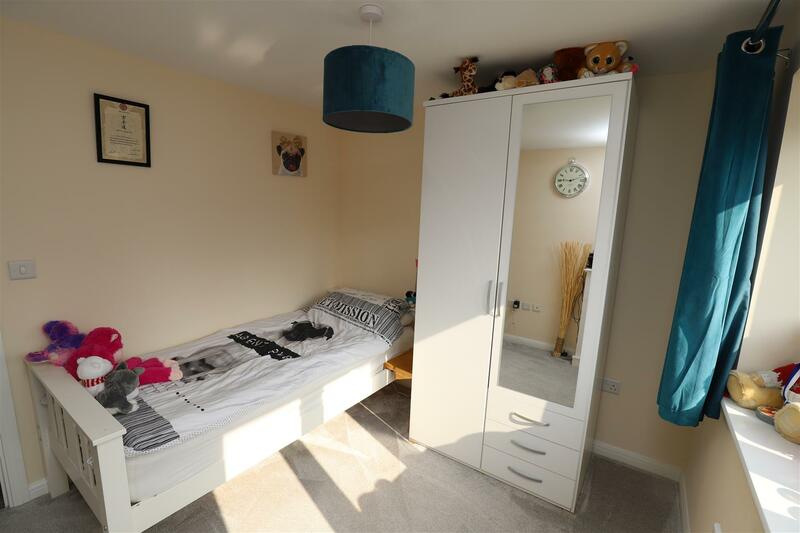 Bedroom 3: - 3.18m x 2.74m (10'5 x 9') - Built-in wardrobe cupboards. Radiator. Double glazed window to front. 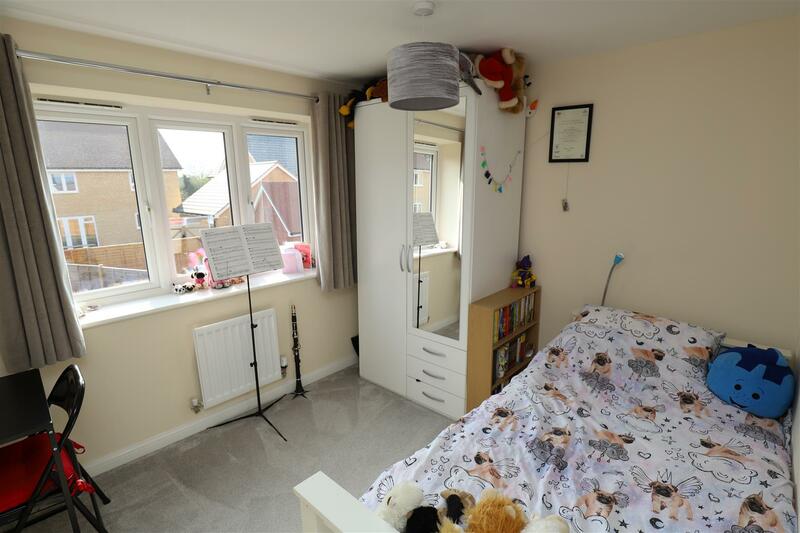 Bedroom 4: - 3.07m x 2.67m (10'1 x 8'9) - Double glazed window to rear. Radiator. Bedroom 5: - 3.02m x 2.67m (9'11 x 8'9) - Double glazed window to rear. Radiator. Family Bathroom - Panelled bath with wall mounted shower unit over. Wash hand basin. WC. Frosted double glazed window to side. Heated towel rail. 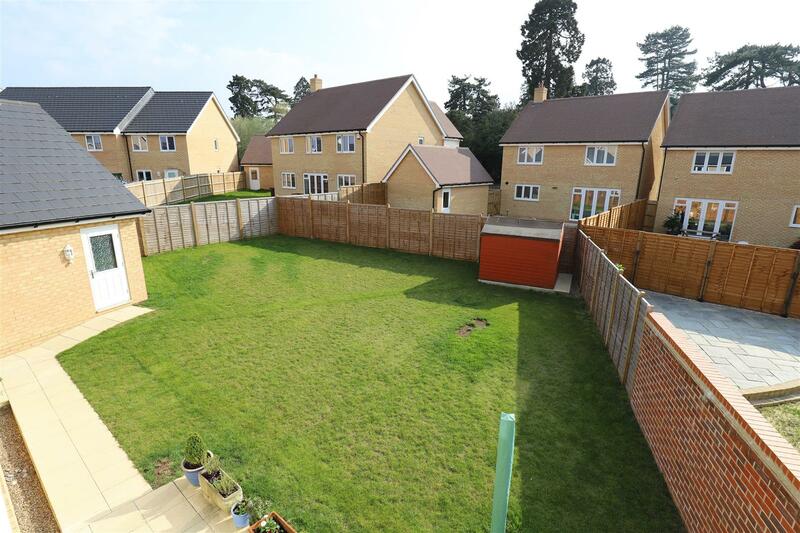 Externally: - A driveway provides ample off-road parking facilities leading to a SINGLE GARAGE. 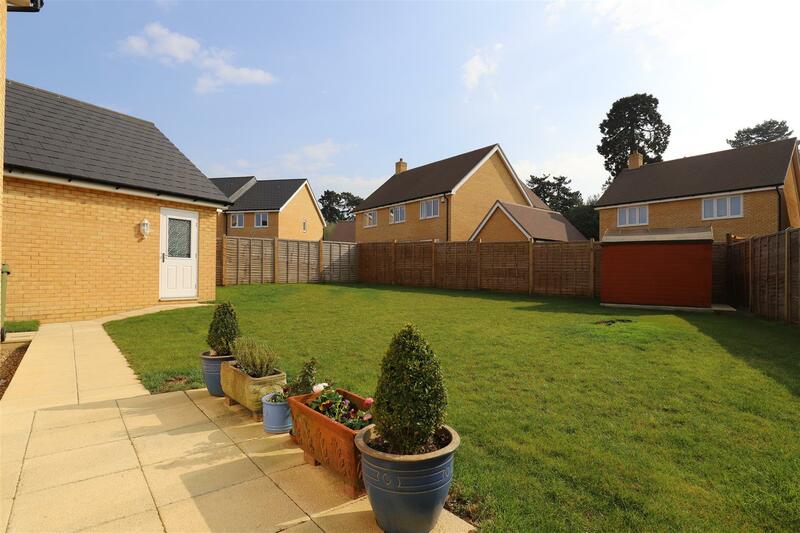 There is an unusually large garden to the rear, certainly by modern day standards, this is a distinct selling point for this home.